Rainbow Stripes V-Neck Chevron Shell Top / Choose Your Jersey Color! 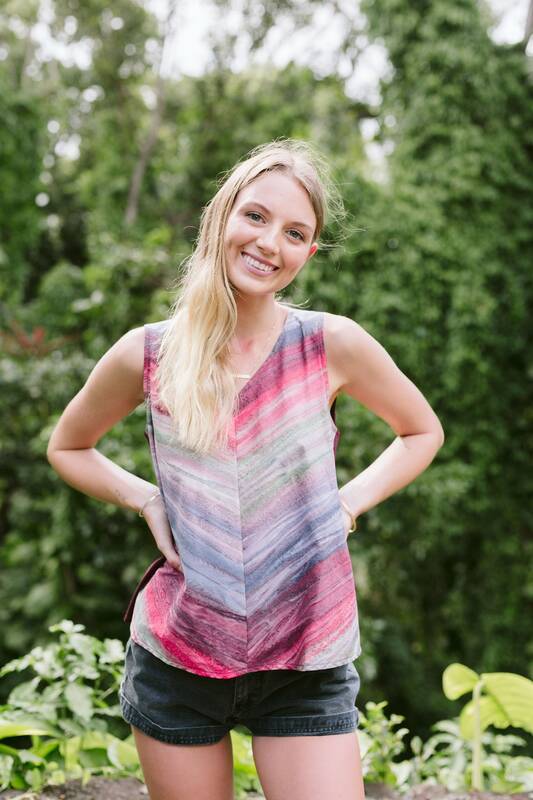 The Rainbow Stripes V-Neck Chevron Shell Top showcases this beautiful hand-dyed fabric cut at an angle to form a chevron stripe down the front. 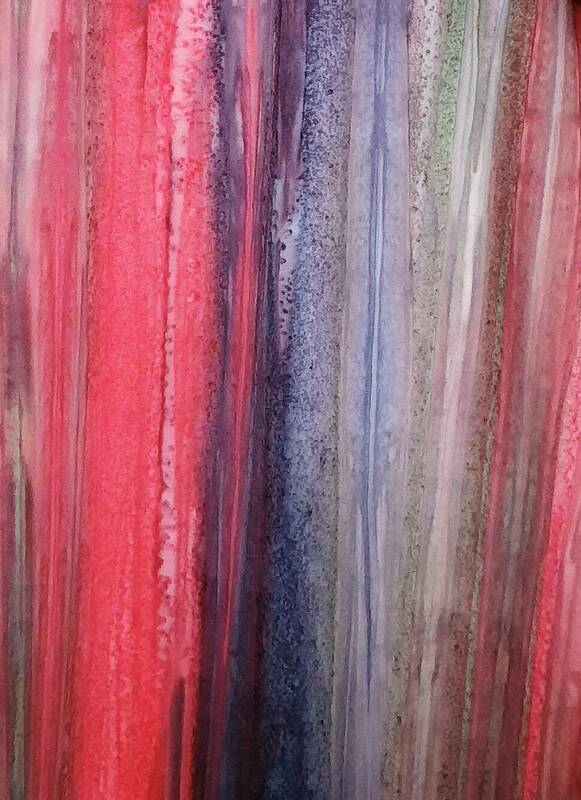 This beautiful & unique "layered batik" cotton fabric is hand-dyed in Indonesia. 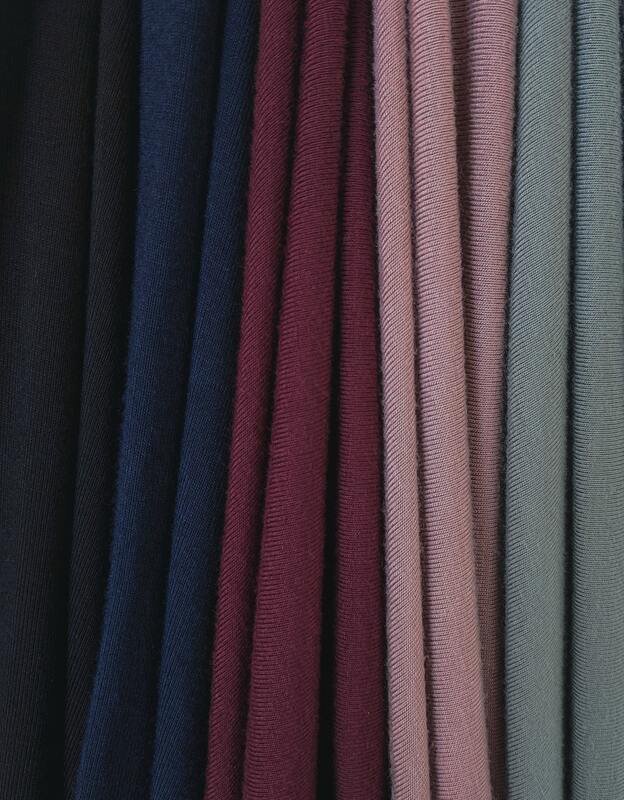 It features "stripes" in shades of reddish coral, deep purple, burgundy, mauve, blue, & sage green. 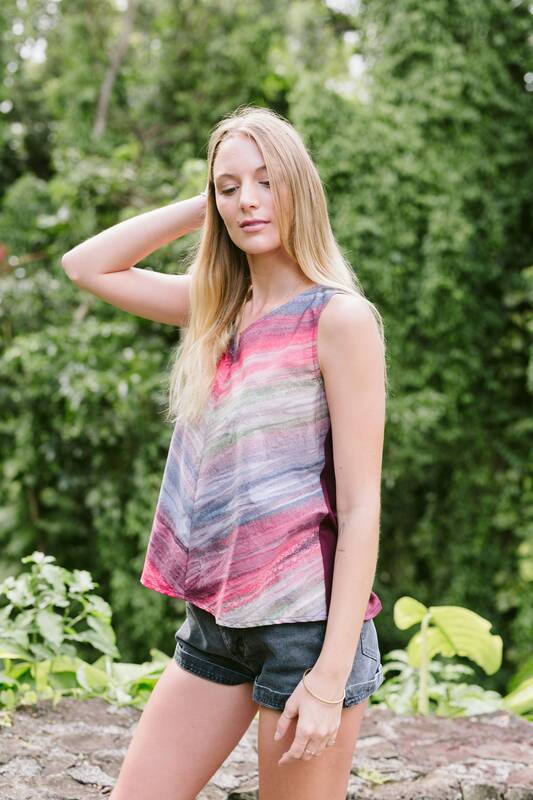 Because of the hand-dyed nature of this fabric, each style made in this fabric is unique & will differ from the pictured top. The back features a piece of batik fabric down the center back with your choice of jersey on either side. 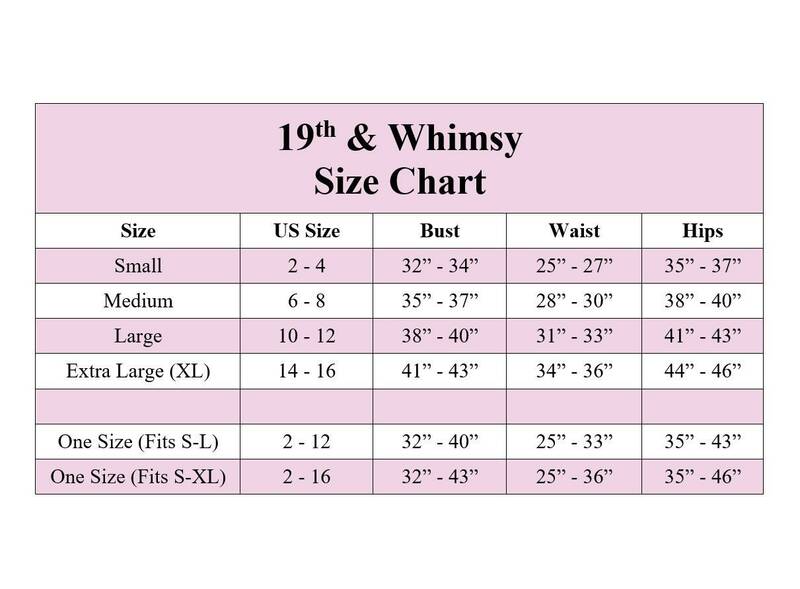 ❤ More styles are available in this fabric. Search my shop for "Rainbow Stripe"